May is a month when vegetal world starts to flourish. So this month’s Mixology Monday event has been awarded with an appropriate spring-related theme. It was cleverly called «Witches’ Garden» by Mark Holmes who hosts the event at his Cardiff Cocktails tumblr. 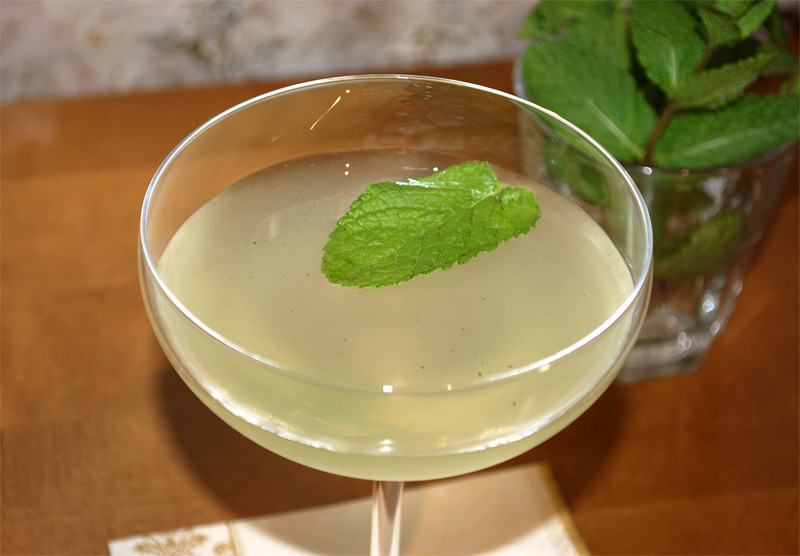 As far back as we can look, the use of fresh herbs have been prevalent in the world of mixed drinks. From the early days of the julep, through Williams Terrington’s 19th century Cooling Cups and Dainty Drinks, to Don the Beachcomber’s ahead of their time Tiki drinks, fresh herbs have always been at the forefront of mixology. So lets take influence from the bartenders that once ruled the world of mixology, raid your herb garden that too often gets neglected, and start mixing. 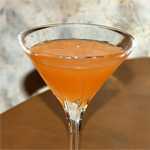 New Year holidays are over, but Frederic continues fun announcing next Mixology Monday event. 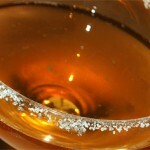 Thanks to Jordan Devereaux whose Chemistry of the Cocktail blog hosts the event for choosing so excellent choice – «Fortified Wines». 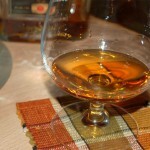 Fortified wines are known as old and reliable cocktail components used in many mixed drinks such as cobblers, punches, flips, sangarees. Later they started to concede their positions to vermouths which are fortified wines too but also are aromatized with herbs, roots etc. For this month’s Mixology Monday, I’d like to see what you all can do with these versatile wines. They can play many different roles – from taking the place of vermouths in classic drinks, to providing richness and sweetness in winter tipples, to serving as a base for lighter aperitifs. Whether forgotten classics or new creations, let’s see what you can put together. For me, it was easy decision to select between few fortified wines I can buy in Moscow. Sherry is my obvious choice. Here is the third report about what I was drinking this summer. The first and the second were about Gin Fix and Tom & John Collins respectively. 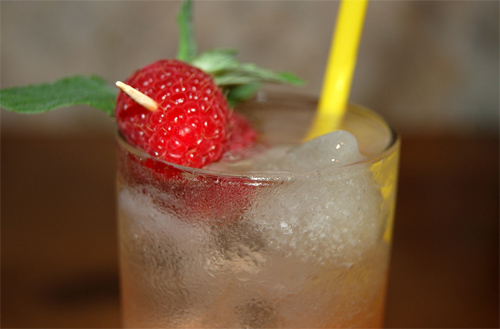 Now the post about Gin Daisy completes a story about gin summer adventures. In my post about Gin Fix I’ve explained in details my vision concerning differences between Gin Fix and Gin Daisy. It’s just an opinion based on some old cocktail books and posts of respected bloggers as well. The fifth S.I.P. 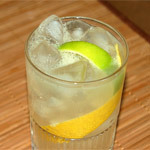 event is coming, and the theme it brings in the spotlight is Tom Collins, an evergreen classic long drink. 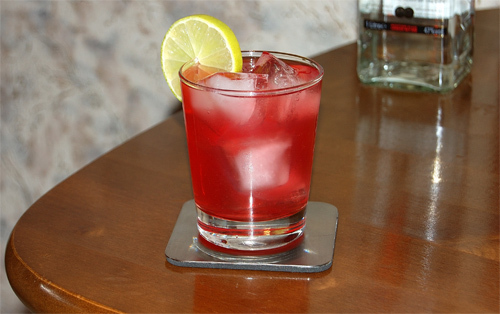 Born John Collins, it was mentioned in Harry Johnson’s «New And Improved Bartenders’ Manual» in 1882. 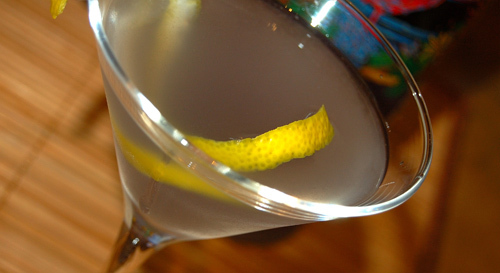 At that time Collins was based on Dutch gin also known as genever or jenever. When Old Tom gin has came to market, John Collins found a brother Tom Collins by name. 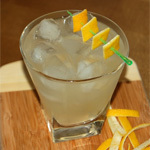 In Tom Collins bartenders utilized English gin – Old Tom, Plymouth and London Dry, of course. It was Tom Collins who has became popular long drink while his brother John remained little known because of genever’s limited availability. In the second half of 20th century Americans have thought of John Collins. But for the newfound John they used bourbon whiskey and not genever. New thing is none other than forgotten old thing. 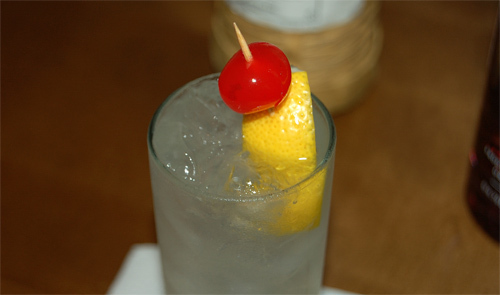 Ironically, Americans pretend to be Tom Collins inventors and John Collins is a Britain-born long drink which was named after London Limmer’s Hotel bar waiter John Collins. Tags: I love it, S.I.P. I have a secret: my favourite summer drinks are based on gin so it’s not Mojito or Paloma but Tom Collins, Gin Fizz, Gin Fix, Gin Daisy, Gin Smash etc. I found it a bit weird when I saw people going mad about Mojito or Cuba Libre. 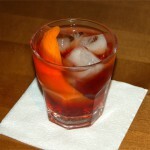 Sure, rum is exceptional in tiki but I can’t imagine summer without dry Gin & Tonic or Negroni. So I’m going to talk about simple long drinks with gin, lemon juice and sugar. Honestly, I don’t know how far I’ll go but Gin Fix is the first drink I want to talk about. Another long drink I want to talk about has a weird history. Unfortunately I have no direct access to sources mentioned below and can’t say exactly about it. Information I stubbornly gathered in Internet is a quite diverse so my summary version looks like a theory. 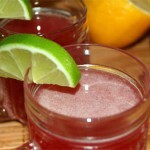 Because the first recipe I’ve found was a cocktail from CocktailDB, I’ve named the article Ruby Rangoon. Maybe that’s not completely correct but I love this version much more than all others. Recently I’ve opened a bottle of prosecco bought in Christmas sale. Springs comes, and it seems like the time to get some fizzy booze, light at the tongue and strong when getting into our heads. 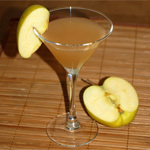 My choice was a cocktail based on the combination I can’t resist – gin, lemon juice and sugar. 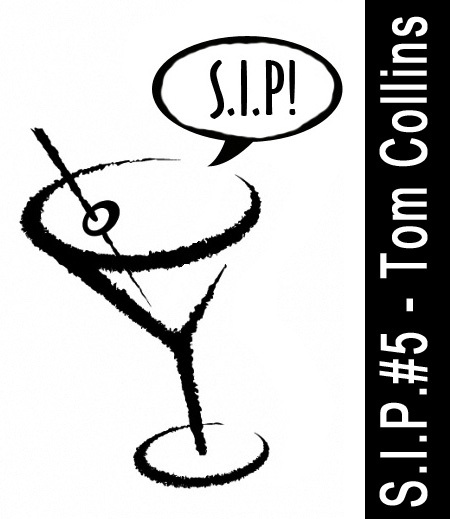 Yes, I love Tom Collins and I considered French 75 as Tom Collins with sparkling wine instead of soda water. 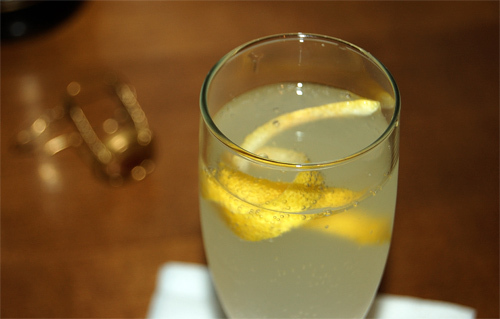 This cocktail is old and popular so Internet has provided me with tons of French 75 recipes. 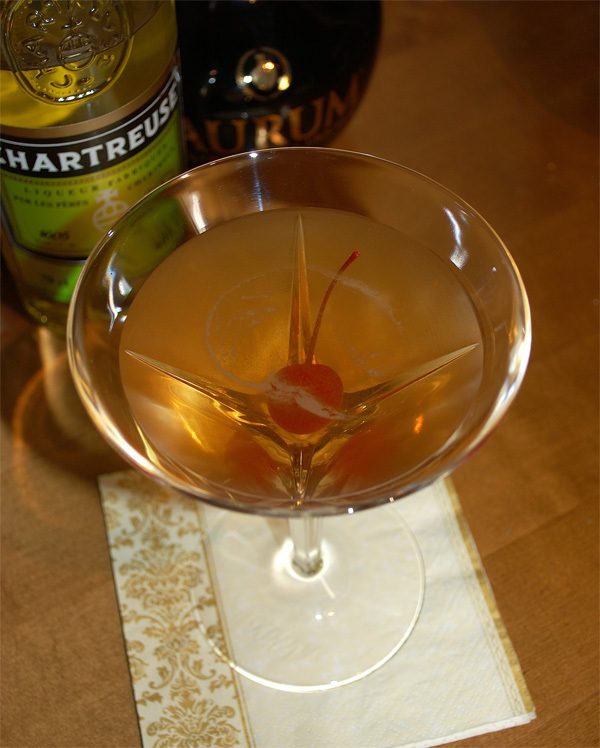 But I decided to seek advice in «The Savoy Cocktail Book», my favourite source of classic cocktails. Forgotten Cocktails, that’s the topic for November 2010 Mixology Monday event hosted by Dennis at his Rock & Rye blog. The topic is not easy as it seems at first time. Here in Russia cocktails are not forgotten, they’re unknown. 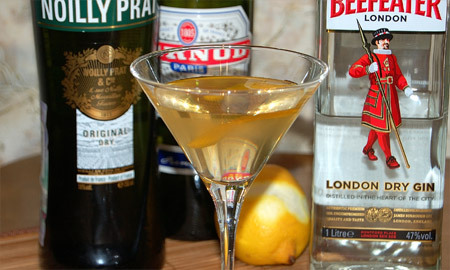 I’ve remembered one cocktail I saw earlier at «Approved Cocktails, authorized by UK bartenders guild» by Harry Craddock. Cameo Kirby, it looks like another Martini-like cocktail, and then I’ve tried it but can’t find anything about it in Internet except one more Google-book «Gourmet’s Guide to New Orleans» by Natalie Vivian Scott and Caroline Merrick Jones. The title Cameo Kirby is known thanks to old movie released in 1923. Who knows, maybe the cocktail was named after that criminal drama.